I met Andrew in 2012 at CPAC in Orlando, Florida. I was already contributing to Big Government and Big Peace and thanked him for giving me the opportunity to share my articles with such a wide audience. He actually thanked ME and all of us who contribute to his sites, knowing that it is a labor of love and not for compensation (although I hope to get there one day.) What a great presence he had. He obviously enjoyed life and he enjoyed exposing the liberal media propaganda machine and calling them out for their hypocrisy and outright lies. I intend to continue to fight for what is right and true, and to expose the massive corruption and unconstitutional actions of our government at all levels. I will continue to be a Happy Warrior in the fight for the truth. Below is a tribute to Andrew from American for Prosperity. A year ago today we were stunned by the loss of the prolific, insightful and passionate new-media general Andrew Breitbart. Breitbart’s persona was larger than life and his impact far greater than any circumstance. It is fitting then that his zany style and online ferocity effectively converted an army of thousands, each one equally dedicated to exposing the hypocrisy and deception in the left, and in turn preaching the Good News of freedom and liberty. One concept that Breitbart emphasized was that of permanence. Permanent troops fighting for liberty. A permanent presence online and on the ground in every state, city and community. He understood what President Reagan articulated so well when he said, “Freedom is never more than one generation away from extinction.” We at AFP strongly believe in the importance of permanence, and are more dedicated than ever to building a lasting movement that will fight to bring about more economic freedom, more opportunity, and greater quality of life for every American. This is the honor and duty of our generation, as it has been for each generation before us. 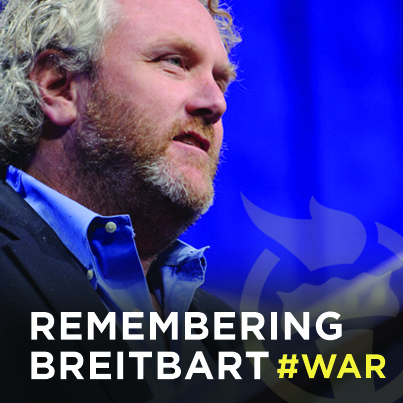 Andrew Breitbart was a dear friend and ally, and on this day more than ever, the happy warrior is deeply missed.